Fall in love with the Elmwood Village. This urban hot spot is home to Buffalo’s coolest coffee drinking, art loving foodies and fashionable creatives. On any given day, you see the hustle and bustle of independently owned businesses thriving. 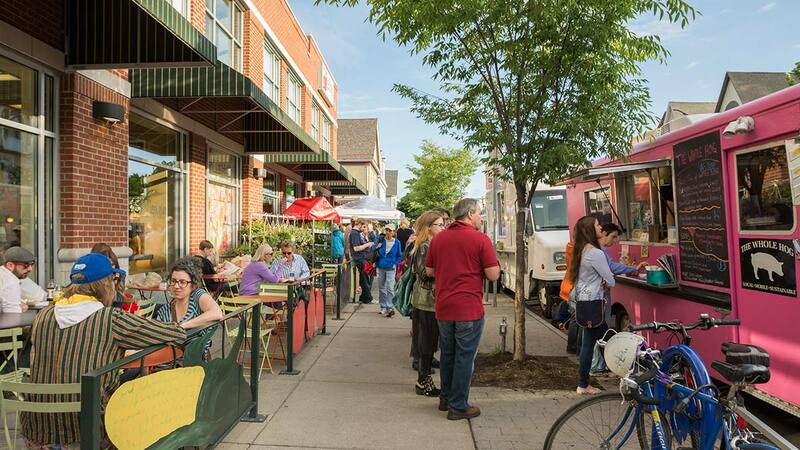 The Elmwood Village was named by the American Planning Association as one of the country’s 10 best neighborhoods and boasts some of the city’s most popular boutiques, bars and restaurants. There’s certainly something for everyone in the EV. Whether you’re looking for a relaxing dinner at Aroma, a lively craft cocktail experience at Vera, or a shop ‘til you drop shopping experience, here are the top reasons to explore the Elmwood Village. Maybe you’re hunting for that perfect dress or statement necklace that will compliment your personal style. The Elmwood Avenue fashion scene is growing with boutiques offering modern and contemporary collections of fashion, footwear, accessories, home décor and gifting. Modern clean design is so hot right now; visit Ro, Fern & Arrow, Anna Grace, Blush and Vania & David for a well-edited selection of sassy style. 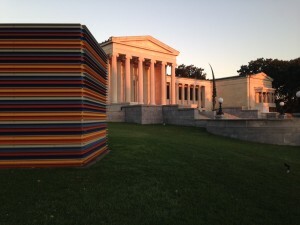 Art is a part of Buffalo’s heartbeat. The Elmwood Village is well known for its local art galleries. Be inspired and soak up some of our best museums – visit the world-renowned Albright-Knox Art Gallery for its collection of modern and contemporary and the Burchfield Penney Art Center for its signature collection of regional works. Located on Elmwood Avenue, both are a stone’s throw away from each other. Buffalo’s food scene is always growing. Now more than ever, specialty shops are popping up all over the city. Elmwood has a few of our artisanal favorites, including Farm Shop, which is home to White Cow Dairy products and the Lexington Co-op for the organic-on-the-go. And don’t miss one of Buffalo’s best farmer’s markets along Bidwell Parkway every Saturday morning! Over the past few years, Buffalo’s streets have become more bike friendly. Many of our streets have been re-designed to better suit our avid bike community. Go Bike is a non-for-profit organization that has been paving the way for improvements, with exciting on-going city projects that are improving the quality of “biking” life. During the warmer weather take advantage of bike rentals in the Elmwood Village at Campus WheelWorks, and cruise around the Frederick Law Olmsted designed Bidwell Park and Delaware Park. Looking for more of a party on the streets? Buffalo’s slow roll and Midnight Bike Ride are always fun! Wings and beer. Poutine and beer. Souvlaki and beer. All are the quintessential comfort-food & drink combos that never fail us. Elmwood Avenue is legendary when it comes to its bars and restaurants. Find your foodie fixes on Elmwood at fan favorites, Forty Thieves, Globe Market, Saigon Cafe and Acropolis. 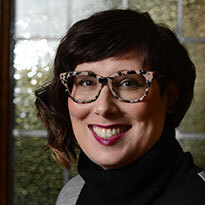 Erin is a lecturer in the Buffalo State Fashion Department, style editor for Buffalo Spree Magazine and fashion consultant for Annarlette and Visit Buffalo Niagara.